Camden culture vultures are being encouraged to dine at The Forge. 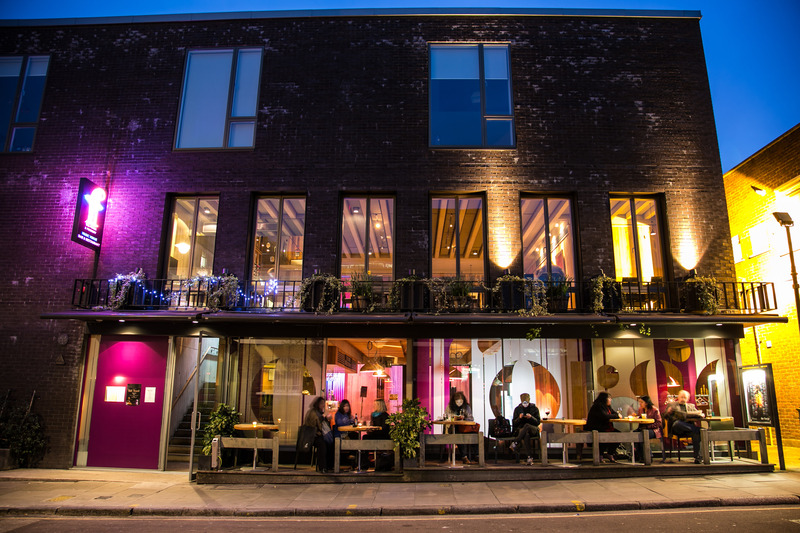 Located just off Camden High Street is the beautifully designed concert venue offering lucky North London visitors top quality classical, jazz, folk and spoken word events – and first-rate British cuisine. The menu is almost split in two. On the left is a choice of sophisticated modern British cuisine for those looking to have a relaxed meal and on the right is a selection of homemade burgers, for those wanting to grab a quick bite before the show. For starter, my friend ordered the cured gravlax seasoned with dill and pepper which was fresh, light and smoky. It was accompanied by a side of indulgent horseradish cream, capers, a lemon wedge and tonnes of lightly toasted doorstep granary bread. I opted for the roasted Portobello mushroom topped with goats cheese and stuffed with thyme, garlic, more mushrooms and served with salad leaves and caramelised onions. Each mouthful was a joy to eat and I even wiped my plate clean with my friends extra granary bread. Both dishes were amply generous. On my return visit I will order two or three to share over a bottle of house red – tapas style. In hindsight perhaps I should have skipped the starter, but I was definitely going to give the free range chicken burger a good go. The chicken was soaked in house marinade before being grilled until crispy on the outside and juicy in the middle. It was enveloped in a buttery brioche bun and served with plum tomatoes, crisp lettuce, tarragon mayo and a heap of potato fries. I was reluctantly passed a forkful of slow roasted pork belly from the dish my friend was contentedly feasting on. The meat was succulent and satisfying. The belly rested on seasonal greens, spicy colcannon mash and rich, warming cider gravy. With absolutely no room for a pudding we slowly sipped our locally brewed pint of Camden Pale Ale while watching very talented spoken word artists on stage. The entire experience perked up an otherwise gloomy start to the working week. Have a look at the gig listings, book an event and ensure you arrive early to dine. Attentive service, value for money, quality food and the best event promoters in Camden.